A small effort taken to improve my health today is infinitely better than taking no action at all. 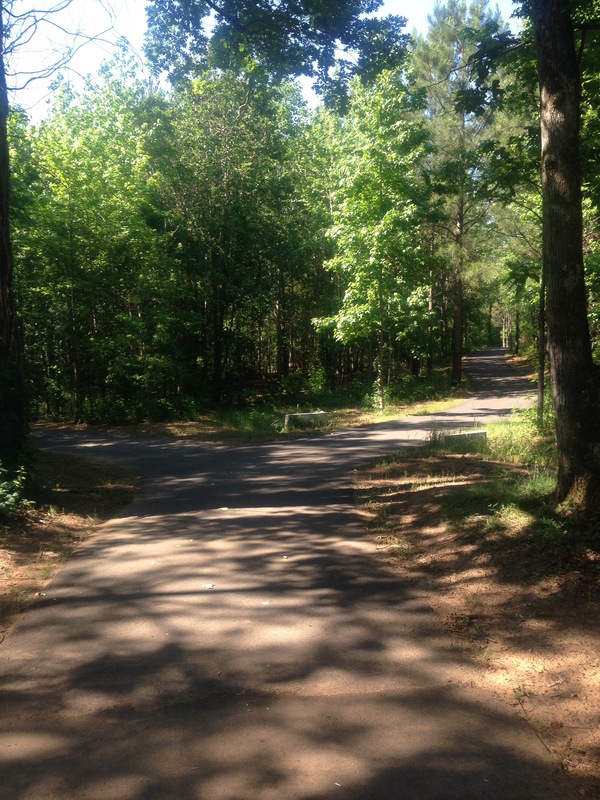 One of the small ways I seek to improve my health is by taking a walk at least 5x per week. Walking is something that helps the body in a lot of positive ways and it’s a great inexpensive, zero side, effect way to improve mood as well. Today I only took a ten minute walk. That’s a lot shorter than I like to go but it’s better than not walking at all. I didn’t go as far as usual because of the time of day I went and because of how I was feeling. Before I went on the walk I thought for a moment that I shouldn’t go because it’s too hot and that I was too tired. And that I won’t be able to go as far as I normally do and if I do go I’ll feel terrible and I’ll only be able to go for a short walk. I asked myself “What would be the use of that?”. I’m glad I answered that a short walk is better than no walk at all. I overcame that resistance and went. Too often it can be overwhelming dealing with chronic health issues to justify doing the small things that seem trivial in light of the amount of pain or the fatigue that one feels. But it’s these small choices each day that I make over time have a big positive impact on improving the quality of my life. Today I only walked ten minutes but that is still a small win in the pursuit of healthier me. Don’t discount the small wins. They can add up over time to produce amazing results. I’ve taken a ton of supplements, vitamins and nootropics in my life to help me develop a cleaer, more calm, and focused mind. Almost all of the stuff I’ve taken hasn’t had any discernible effects. One of the substances that has bucked the trend and has actually helped my mental state greatly is Yerba Mate tea. This powerful elixir from South America has positive noticeable effects on my brain and body almost as soon as the warm earthy green liquid crosses my lips. 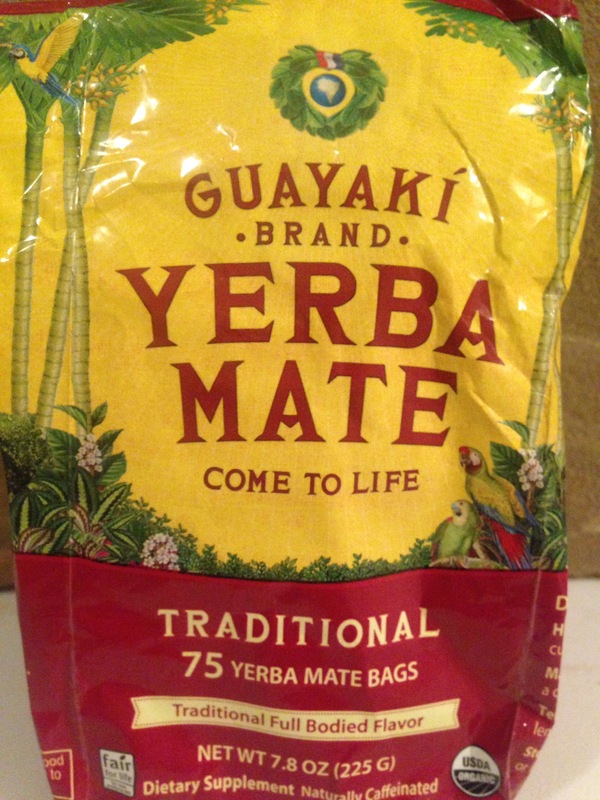 The first time I drank Yerba Mate I couldn’t believe how it effected me. It provided mental and physical energy without the jitteriness of just caffeine, plus a level of focus and mental clarity which most of the time escapes me. For the last 30 years I’ve been dealing with autoimmune conditions, chronic pain and chronic inflammation. And these issues create what I call inflammation brain and when I’m under its spell entering into a flow state or simply getting through the day is extremely difficult. I’m obsessed currently with getting into, maintaining and living within a flow state as much as I can. Along with helping with forgetting oneself, time dialation and just feeling good, the flow-state produces positive physiological changes which are thought to help with autoimmune conditions and chronic pain. Yerba Mate’s unique composition of chemicals produces a similar feeling in me comparable to a low level or micro-flow state. And it also produces the mental jumping off point in which I can enter into a deeper flow state more easily. When I’m tired and don’t feel well my brain is filled with a sludge or a fog . My mental processes are slowed, motivation evaporates, solution and novelty seeking are dramatically reduced and I just feel stuck. I chalk this up to my autoimmune and inflammatory issues. This inflamed brain state makes thinking difficult and making decisions even harder. When I drink Yerba Mate all of these symptoms are greatly reduced or even totally eliminated for up to four hours. After downing a cup of the Yerba Mate tea my mind clears and my thoughts are light and move without much effort, instead of being stuck in the mental sludge as usual. The powerful chemical mix contained within the Mate include caffeine, theophylline, and theobromine along with tons of vitamins and minerals. Caffeine is familiar to us all and most are familiar with its effects. Theophylline and theobromine are not as well known. Theophylline has anti-inflammatory effects and it is a vasodiallator which helps lower blood pressure and can help improve breathing. Theobromine effects the vagus nerve, the heart and also is a vasodiallator. These compounds work synergistically to create positive changes to the body and brain. This means that when I drink Yerba Mate my fatigue is less noticeable, I can focus on one thing at a time, I can switch to another task or idea seemlessly, my body and mind are more relaxed and energized, and the perceived resistance to starting a task, which I am normally paralyzed by, is greatly reduced. Also I’m less bothered by interruptions or issues that crop up during the day which, without the Mate, would easily trigger disappointment or feelings of anxiety. I’ve wasted hundreds of dollars on supplements, vitamins and nootropics in order to relieve my inflammatory induced brain state. Now for less than two cents a day I can banish the brain fog, gain mental clarity, ignore distractions, more easily, and clear away mental and physical fatigue. By reducing or eliminating these symptoms of inflamed brain I’m able to to enter into, achieve, and maintain mental flow states more easily throughout the day. And this makes living a hell of a lot more enjoyable. One of my favorite sayings is “Enjoy what you can and endure what you must”. I’m on a perpetual quest for ideas, substances and practices that help me to be able to do this more in life. A warm mug of Yerba Mate in the morning is a good way for me to ensure that I’m able to enjoy and endure a little more each day. Even though Yerba Mate is stimulating ai don’t just drink it in the morning , I also drink in the evening if I’m finding it hard to relax my inflamed mind and body. It calms and clears my mind and relaxes my body. Instead of keeping me up it actually and helps me to fall asleep. When I read a book I look for at least one thing to take away and incorporate into my life. If I can find that one thing then it makes purchasing and reading the book worth it. In “Liminal Thinking” by David Gray I did get the one thing and it has greatly influenced how I think about what I think. The big take away for me is not to conflate belief with reality and that I have the power to interrogate and change the “I believe” ideas that govern my behavior. Liminal Thinking is the art of creating change by understanding, shaping and reframing beliefs according to the author. Nothing in the book is ground breaking or has not been said before. Even the author admits to borrowing heavily from other people’s work. And some of the stories he uses are one’s I’ve heard before and the rest are corporate “turn around” stories about the rebel who helped changed a company’s culture. Not really what I’m interested in reading about. But the book does have some useful exercises that helped me identify, challenge and begin to change how I look at the “governing beliefs” which I have. Here is one the first exercises: “think about something in your life that is problematic, but you don’t think will ever change. Consider the connection between how you see the problem and how you see yourself. What if you saw yourself differently? If you were the kind of person who should change this situation, what you be like? How would you act?”. This is a powerful tool just by itself especially for someone who is dealing with chronic pain and chronic illness. In the past I saw myself as chronically ill or suffering from an autoimmune disorder or was cursed with severe unpredictable chronic pain that would always torment me. This is a very limiting belief and it’s kept me from living life. It’s prevented me from making real connections with others, because I believed that my illness prevented me from entering into the dating pool because of my flawed DNA and my current inconsistent behavior and I always felt never good enough to be loved. And I also held onto the belief that I would never be able to contribute anything of importance to the world. Needless to say I was living in misery. After reading the book I thought its not real useful. How could these simple exercises help me? Then the idea began to soak in, my thoughts about myself aren’t concrete. There are merely a belief. The first step I took to distance and begin to change this view of myself was to say “I believe that I am chronically ill and limited physically, emotionally and socially because of it.” That does reframe the whole issue for me. It was if I took a crowbar to this huge megalithic structures that had become my internal world and the huge almost immovable doors labeled “You are sick and never will be better”, “You’re not good enough to be loved” and “You will never contribute anything useful to others” were now easily unlocked and effortless opened. With these megalithic beliefs I had constructed an almost impenetrable wall with massive heavy doors locked from the inside, that separated me from the outside world. This fortress of belief had become my dungeon and if I didn’t change things soon it was going to be my tomb. Once I placed the simple term belief in front of these thoughts that I’ve thought a million times it took away their concreteness, they became weightless. They no longer were concrete, immovable, megalithic stones and horrendously heavy locked doors. Reality is a funny thing. We limit ourselves greatly by what we believe. I now believe that I am mostly well, most of the trillions of my cells have no defects and are working just as they should. I believe now that I have now and will in the future have more and more control over my pain and my inflammatory response and that I can live a life with a calm, enthusiastic, curious, loving, open mental state. Once the heavy negative stones of thought became weightless with merely the words “I believe”, I can now consciously shape new “I believe statements” that create my inner and outer world. I’m done spending any more time in the dungeon. My inner world is no longer dark and protected like a medieval keep, or a dungeon and especially no longer a tomb. It is open and airy. The internal thoughts are full of hope, love and curiosity about the future. My new beliefs are now based on scientific and anecdotal evidence that I can have control over my nervous system and my immune system a This may sound ludicrous but it has been scientifically proven that through mental and physical training this can be done. Wim Hof is an amazing man and has been studied extensively for his ability to control his autonomic nervous system, pain response and immune response. He has done this with many other people as well and his claims have been proven time and time again. I’m starting up again the Wim Hof program along with studying the effects of Flow on Chronic Illness. Flow is the state in which all thoughts flow from one to another without anxiety or the perception of passage of time and your body and brain are working harmoniously at peak performance. It is mostly associated by those in the sports world and its often referred to as being in the “zone”. I recently listened to a Joe Rogan Podcast with Author and Science Reporter Steven Kotler. He suffered from Lyme disease for three years and was so sick he almost killed himself. He has since dedicated his life to studying “flow”. He became fascinated with the concept of flow and credits this state of mind for helping him to heal his Lyme disease and saving his life. He achieved the flow state by surfing. His theory is that the flow state releases positive neurochemicals that reduce stress and help the body to heal.This further strengthens my belief that another proof that my belief that I’ll be able to control and heal my body more and more. Along with Wim Hof and Steven Kotler I listened to Alan Watkins TEdx talk recently about using breathing to be brilliant everyday. This guy seems to want to be a corporate guru and even bragged about spending time with top CEO’s blah blah blah. I shut off when I hear that. But later on in his talk he got to the good stuff. In simple terms our prefrontal or advanced cognitive skills are shut down under stress. The brain receives signals from the heart and if it becomes elevated due to stress there are only two options as the brain sees it, Fight or Flight or play dead. This made perfect sense to me. When I feel my worst I don’t feel like myself at all. I can feel these higher levels of thought being stripped away – and since my source of stress is my own body causing me pain and torment Fighting it or Fleeing from it are useless. That is why I play dead. I disconnect form the world into my dungeon with and seal the heavy doors and hope by playing dead long enough my body and brain will get tired of tormenting me. But there is hope and I believe now the tormenting has ended. Through changing my beliefs about who I am and the outside world I no longer see myself and social situations as threats. Yes no matter where I go I carry with me a possible threat (my adhesion filled abdomen, my three major kinks in my small intensive and a gall bladder that likes to lodge stones in my billiard tract plus an immune system that likes to attack my skin and other organs of my body) but this threat is manageable and I believe I soon will be able to completely eliminate it. Yes to completely eliminate what I’ve been told all my life is incurable or that there is nothing anyone can do for me. I reject that thinking. In Alan Watkin’s talk he stresses about the importance of controlling your heart rate with simple breathing techniques to quiet this flight, fight or feign death response. In fact there have been amazing new imaging studies on people who have practiced meditation and breathing exercises that have created structural changes in their brains simply by breathing and thinking differently. It was done by scientists and doctors at Harvard. This is not woo-woo hippie dippie stuff this is real science, measurable and repeatable. I believe that if Wim Hof and these folks in this study, and Steven Kotler can achieve real measurable positive results in their physiology so can I. Now I believe that I have more control over my mental state and that I believe life is worth living. I’ve been filled for so many years of self-loafing and self-hatred because I had stuck myself inside this dungeon and all I could do was wait to die. Through first prefacing my thoughts with “I believe” I was able to change some fundamental beliefs I had about myself and see the world and myself no longer as threats. I believe now that I can live a life full of love, adventure, peace, excitement, and accomplishment. I am done being miserable. I do have the power to change myself for the better. Having a lot of abdominal scarring and pain causes me to take a lot of shallow breathes throughout the day and have to force myself to take deep breathes. But this is critical for me to relax and reduce the amount of stress chemicals throughout my body and brain. I believe now that I have an amazing future ahead of me, that social interactions are not threats, my body is not the enemy, and that I can create a sense of calm, sereneness free from anxiety any time I choose and that one day I will be able to have total control over my nervous system through breath work, exercise and mediation. This is my new reality. In the past my problem was that my flight or fight mechanism was constantly being triggered by my body. Constant pain, fear of the pain worsening, and the ever present fear that the pain I felt everyday could at any time lead to a hospital stay kept my body in a perpetual state of fight or flight. The issue being I was the source of the threat, I couldn’t fight or flee from myself so I would spiral into depression and cut off all social ties and be absolutely miserable. I hated vacations and traveling because no matter where I went there I would be. I carried around the greatest threat to my emotional wellbeing inside my body. This constant level of stress takes a toll on a person. I’ve lost 40 pounds, I’m currently not working, and I’ve almost cut out all social ties to the outside world. But I’m done living this way. In the past I believed this would be my fate for the remainder of my life, but that has changed. This is not delusional thinking. I am aware that pain will return, I’ll probably end up in the hospital again in the future, but I will not be held captive by the pain any longer. My mental state and not the state of my body is what I’m focused on for the rest of my life. Creating a flourishing mind unperturbed by fortune or by pain. That is the goal. I’m reading Seneca’s Letters on the Shortness of life and he wrote to a friend “What is greater than a man who is above fortune?” Stoicism and Buddhism both seek to reduce or eliminate suffering for individuals. My mental state is something I now believe that I can have a greater and greater command over. I believe that through different breathing techniques, different natural medicines, continually challenging and updating the way I perceive myself and the outside world, I can become an ocean of calm in the midst of the storm of life. That is my task and that is my journey. To create calmness, clarity and peace where there was once hate, fear and pain. I used to believe that I could never love myself or that I would never be good enough to be loved because of my health and my financial and social status. That belief is no more. I now believe that the past is gone, there is only now, and I can take steps to increase the flow experiences in my life, change what I believe and in the process change my reality and love others and want them to be happy and at peace as well. I am a big fan of Wim Hof and I’m also staring up his program again. He has been able to take conscious control over his immune response and pain response. That is what I believe I can do as well. I want to end the tyranny of pain and be at peace with being me no matter where I am or what I’m doing. I’ve struggled most of my life with trying to avoid conflict and maintain an emotional equilibrium but that is a false hope for happiness because it relies on others. The Stoic and the Buddhist relies on his or her own mind to create calmness despite the chaos of the physical and emotional world around them. Though I will never fully eliminate pain or emotional distress I can greatly reduce its influence over my wellbeing. I believe now that my chronic pain, autoimmune conditions are not a life sentence. I believe that fundamental amazing change is possible and is happening now. I believe there are ways to create positive mental states in the midst of the storms of illness and all I need to do is to breathe to make that happen. I’m on that journey now and I believe that my trillions of healthy cells are ready to assist me in this endeavor and to aide the few cells that are having some malfunctions so that I can create more flow states in my life and a produce a calmer and more peaceful mind and a body that is strong, vibrant, capable and able to rest. My mental state is all that I have. I am not my scars. I’m not my ileostomy. I’m not my psoriasis. I’m not my adhesions or my pain. I’m excited to see who I will become with the dungeon walls now destroyed and the doors between me and the world are like the automatic glass doors that open merely with me walking up to them. And all this has occurred because of believing and breathing.